Provide comfort for the family of Alice McGrogan with a meaningful gesture of sympathy. 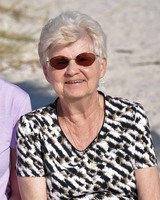 Alice M. McGrogan, 75 of Cookeville, Tennessee passed from this life on Friday, March 29, 2019, at Cookeville Regional Medical Center in Cookeville, Tennessee. She was born in Philadelphia, Pennsylvania on January 7, 1944 to the late Joseph and Henrietta (Taylor) McCallum. Alice had chosen cremation, and the family followed her wishes. A Celebration Of Life will be held at a later date. To send flowers in memory of Alice M McGrogan (McCallum), please visit our Heartfelt Sympathies Store.